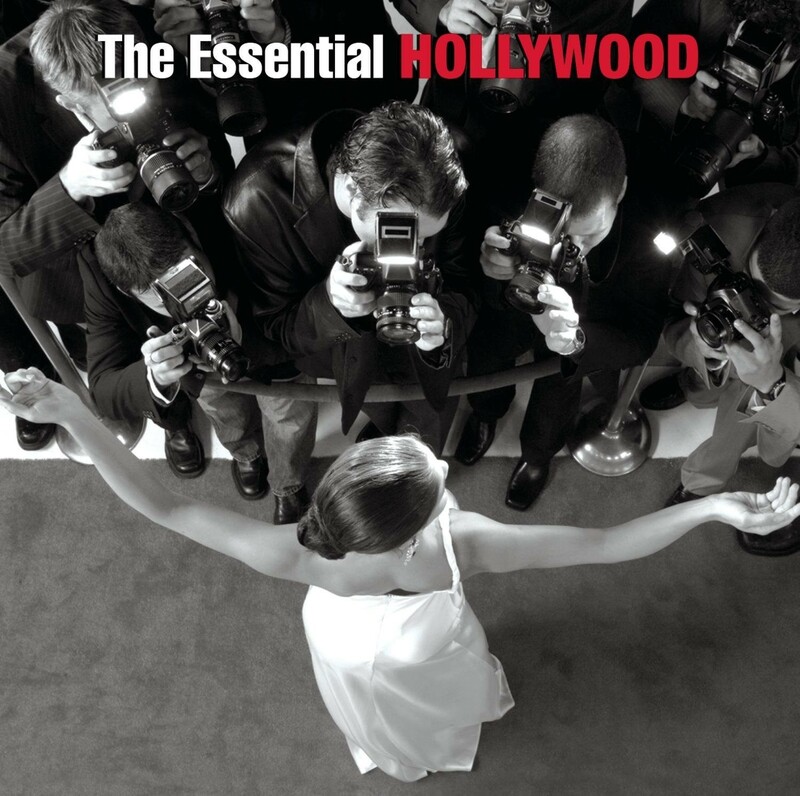 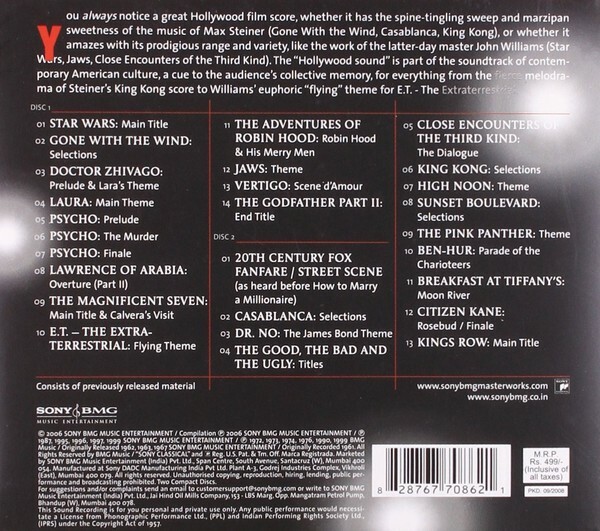 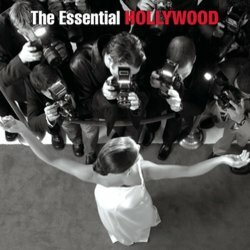 Sony's stellar 2-CD retrospective of the big screen's most indelible themes does a beautiful job pairing the absolute essentials with under-anthologized gems. 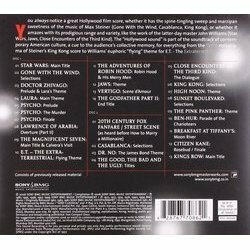 Check it out: The James Bond Theme; Moon River; High Noon; The Pink Panther Theme; Main Title from Star Wars; Prelude & Lara's Theme; Laura; Psycho: Prelude/The Murder/Finale; Lawrence of Arabia; Theme from Jaws; Flying Theme from E.T. ; The Godfather Part II: End Title; Main Title from Gone with the Wind , and more!